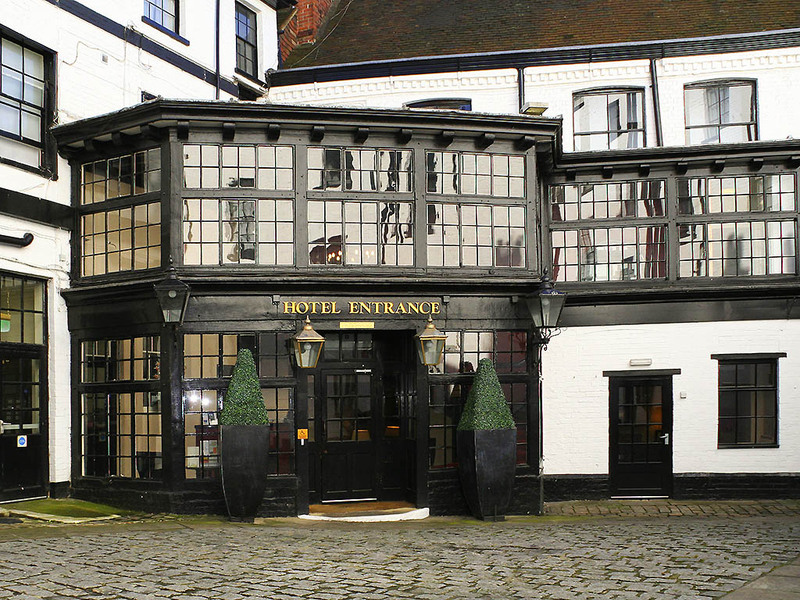 Considered by many to be the oldest building in Reading, the historic Mercure George Hotel is said to date back as far as 1423. Complete with original features, including the original timbers in the main entrance, the hotel provides a throwback to the city's great and varied heritage. The stylish bedrooms each have a private modern bathroom, while modern facilities are provided throughout. Guests can also enjoy authentic Italian cuisine in Prezzo restaurant. Its central location makes it a haven for visitors, with nearby landmarks including the Museum of Reading, Central Library and Oracle shopping centre. It's also a short walk from the River Thames, so you can take a nice stroll beside the water. After a busy day exploring the city, enjoy a cocktail or two at Dickens Bar * Brasserie. Relax in the luxurious surrounds of the recently refurbished bar enjoy a fine selection of drinks from the in-house bar. I stayed for one night in a nice quiet, clean single room. Staff very pleasant, Good breakfast. The hotel exceeded my expectations. The staff at reception was very polite and efficient. The Executive Room (Charles Dickens themed) was bigger and better equipped than I expected, very nice room which had a character. Thank you for noticing the birthday of my partner by a nice surprise in the room. The location on the Broad Street could not be better. The continental breakfast was ok, not widest possible selection but still enough and featuring local style. All in all a very, very good stay. We enjoyed the authentic historical flavour of the hotel. It was unique. Thank you very much! Very comfortable and nicely decorated, staff were friendly and helpful. The rooms which over look the street could have better sound proofing from the delivery lorries in the early hours. Rooms are well equip with tea making facilities, hair dryer, iron and ironing board, Some small toiletry samples. The bed was comfortable, The room was warm and nicely decorated in theme with the hotel. The shower pressure could of been a bit better. The restaurant is nice, and food was good for evening meal and breakfast. Arrived and checked in. Staff welcoming. Later staff helped me connect to WiFi. Single bed was not expected. Everything else was fine that night. In the morning the bathroom and part of the bedroom flooded with sewage - not mine. Breakfast in a bar with strange tasting orange from a machine and coffee from a vending machine. poached eggs arrived hard boiled - guest opposite mentioned his were like that too. Are what I could, got my gear and checked out. Reception staff are good and there was little they could do about the flood other than put down a few towels. The &quot;chef&quot; needs training on poached eggs. There appeared to be adequate waiter/table clearers so unsure why filter coffee and fresh orange cannot be managed. Friendly reception, comfortable room and great location. A bit noisy from outside but ok. Food options quite limited. Great location, friendly reception staff. Except for the coffee/tea making facilities, there was nothing nice about the room (old-fashioned/stuffy). Hard to sleep, street too noisy. There are earplugs provided on the bedside table, says it all. Impossible to have unbroken sleep. Book at own risk. Staff were really polite and helpful. Rooms were lovely. The bed was a little too soft for me, but other than that everything was great. Arrived and was upgraded immediately. Comfortable, clean room with good facilities. Helpful and friendly staff at front desk on arrival. Will definitely stay here again! Very friendly staff and good location. Negatives.....had to change room as the heating was broken & stuck on full. Very hot & stuffy. The staff were very good about changing rooms for me. My new room was 206 and very uncomfortable mattress, sags in the middle. I woke up with a stiff back which lasted a few days. I would not stay again. Ok for overnight stay. Would not stay longer. I took a chance on staying here despite some negative reviews. Good points are handy location and friendly staff . I was put off by strong cooking odours on arrival and difficulty in parking nearby for transferring luggage. I was aware parking is off site and this worked ok but rainy weather made transferring the 400 or so yards unpleasant. The hotel itself is a rabbit Warren of narrow corridors and steep narrow stairs so another problem with luggage. Cooked to order breakfast was ok. Single room small but ok for one night. As above. The false fire alarm in the morning that was due to &quot;someone having a hot shower&quot; did not help and is actually quite worrying. Hotel very well located in the town centre. Was comfortable and clean. No lift. Reception not 24 hours.